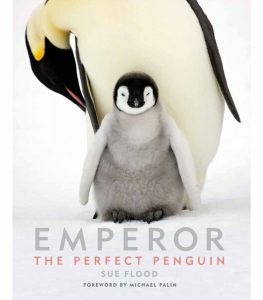 Emperor: The Perfect Penguin is a celebration of one of the world’s most charismatic creatures. In temperatures that can reach -50°C with 150 km/h winds, the emperor penguins’ ability to survive and thrive is nothing short of astounding. Over the past nine years, award-winning photographer Sue Flood has journeyed to remote Antarctic penguin colonies to capture the birds in their native home. Sue Flood’s respect for her subjects emanates from every page. From the poignant sight of an egg abandoned on the sea ice, to majestic shots of emperor penguins returning from the sea and heart-warming photos of chicks clustering together for warmth, every shot explores a new angle of life in this remote and ice-crusted world. As well as following the difficult journey of the penguins across the sea ice, Emperor: The Perfect Penguin narrates the hardships that must be endured to catch the perfect photograph. Sue’s behind-the-scenes experiences prove that it is only with patience, endurance, and several thermal layers that one can capture magical moments on Earth’s most inhospitable continent. Seabirds are master navigators, thriving in the most demanding environment on earth. In this masterly book, drawing on all the most recent research, Adam Nicolson follows them to the coasts and islands of Scotland, Ireland, Iceland, Norway, and the Americas. Extinction stalks the ocean and there is a danger that the grand cry of a seabird colony will this century become little but a memory. 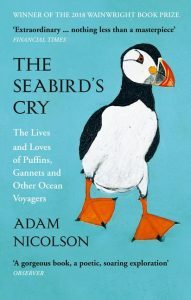 The full story of seabirds from one the greatest nature writers. The book looks at the pattern of their lives, their habitats, the threats they face and the passions they inspire. Seabirds have always entranced the human imagination and over the last couple of decades, modern science has begun to understand them: their epic voyages, their astonishing abilities to navigate for tens of thousands of miles on a featureless sea, their ability to smell their way towards fish and home. 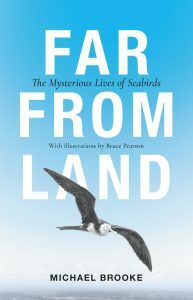 Comprising of ten chapters, each dedicated to a different bird, and each beautifully illustrated by Kate Boxer, the reader travels the ocean paths, looking at the way their bodies work, the sense of their own individuality, the strategies and tactics needed to survive and thrive in the most demanding environment on earth. 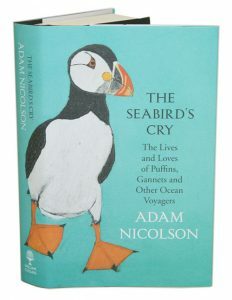 At the heart of the book are the Shiant Isles, a cluster of Hebridean islands in the Minch but Nicolson has pursued the birds much further-across the Atlantic, up the west coast of Ireland, to St Kilda, Orkney, Shetland, the Faeroes, Iceland and Norway; to the eastern seaboard of Maine and to Newfoundland, to the Falklands, South Georgia, the Canaries and the Azores-reaching out across the widths of the world ocean which is the seabirds’ home. But a global tragedy is unfolding. Even as we are coming to understand them, the number of seabirds is in freefall, dropping by nearly 70% in the last sixty years, a billion fewer now than there were in 1950. 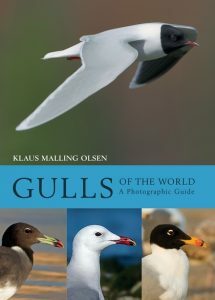 Of the ten birds in this book, seven are in decline, at least in part of their range. Every year around August, large flocks of Eastern Curlews leave their breeding grounds in the Arctic and embark on a perilous 10,000 km journey to the coast of Australia. The birds cannot swim; if they become exhausted and fall into the ocean, they die. But it’s a journey they have taken for tens of thousands of years, tracing invisible flyways in the sky in what is one of the most spectacular mass migrations in the animal kingdom. 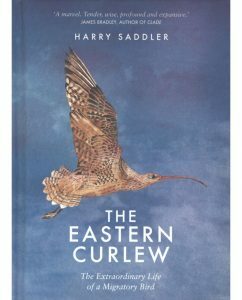 Following the Eastern Curlew along its migratory path, award-winning nature writer Harry Saddler explores how these incredible birds have impressed themselves on the cultures of the countries they fly through, the threat to their survival posed by development, and the remarkable ways these birds and humankind may be entwined. The Eastern Curlew: The Extraordinary Life of a Migratory Bird is a delightful and vivid portrait of a fascinating natural phenomenon. Seabirds evoke the spirit of the earth’s wildest places. They spend large portions of their lives at sea, often far from land, and nest on beautiful and remote islands that humans rarely visit. Thanks to the development of increasingly sophisticated and miniaturised devices that can track their every movement and behaviour, it is now possible to observe the mysterious lives of these remarkable creatures as never before. This beautifully illustrated book takes you on a breathtaking journey around the globe to reveal where these birds actually go when they roam the sea, the tactics they employ to traverse vast tracts of ocean, the strategies they use to evade threats, and more. Artist/Author: Kress, Stephen W. and Derrick Z. Jackson. This is the inspiring story of how a beloved seabird was restored to long-abandoned nesting colonies off the Maine coast. As a young ornithology instructor at the Hog Island Audubon Camp, Dr. Stephen W. Kress learned that puffins had nested on nearby islands until hunters drove them away in the late 1800s. 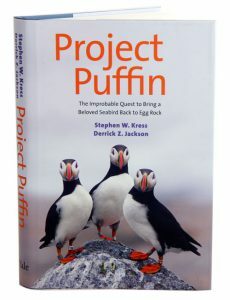 To right this environmental wrong, Kress resolved to bring puffins back to Eastern Egg Rock. Yet bringing the plan to fruition meant convincing skeptics, finding resources, and inventing restoration methods at a time when many believed in “letting nature take its course.” Today, Project Puffin has restored more than 1,000 puffin pairs to three Maine islands. Even more exciting is that techniques developed during the project have helped to restore rare and endangered seabirds worldwide. Further, reestablished puffins now serve as a window into the effects of climate change. The success of Dr. Kress’s project offers hope that people can restore lost wildlife populations and the habitats that support them. The need for such inspiration has never been greater. Seabirds are the living links between land, air and sea. They enjoy a freedom that even humans, with all our technological assistance, can barely imagine. Many species travel mind-boggling distances across the length and breadth of our planet before returning to land to breed in large, deafening and confusingly crowded colonies. Yet within this commotion each mated pair forms a bond of extreme closeness and tenderness that survives separation each winter and may persist for decades. The long and geologically varied coastline of the British Isles provides homes for internationally important numbers of breeding seabirds. Visiting their colonies is always unforgettable, whether they are cliff-faces packed with Guillemots, islands white-capped by clustered Gannets on their nests, flat beaches crowded with screaming Arctic Terns or seaside rooftops overlaid with a second townscape of nesting gulls. The changing fortunes of these seabird cities reveal to us the health of the vast, unseen but incredibly rich marine world that surrounds us. RSPB Seabirds showcases some of our most exciting and enigmatic bird species as vital and living components of one of our greatest natural assets: our coastline. 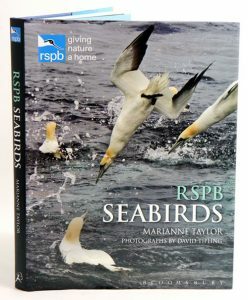 The author presents detailed biographies of all the seabird species that breed in and around the British Isles, and also looks at the many species that breed elsewhere but which, regularly or occasionally, visit British waters. 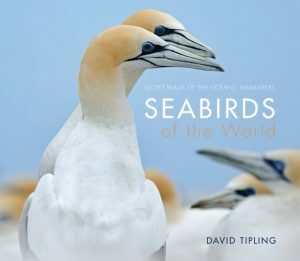 Every page of this sumptuous book features beautiful photographs of wild seabirds engaged in their daily work of hunting, travelling, protecting themselves and their territories, courting and raising a family. Enduringly popular, Puffins are perhaps the most immediately identifiable of seabirds with their decorative bills and distinctive gait. Yet when they take to the air they wheel and turn with great agility and underwater these stocky little birds use short specially adapted wings to propel themselves through the water in pursuit of small fish. Surprisingly little was known about Puffin ecology until recently thanks to their preferred breeding habitat being underground on remote islands or hard-to-reach coastlines. 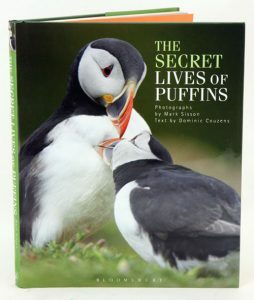 Now Euan Dunn discloses all we have learnt about them as a result of technological advances, and provides a revealing account of their life cycle, behaviour and breeding, what they eat, how they interact in their busy colonies, and where they migrate to in winter. 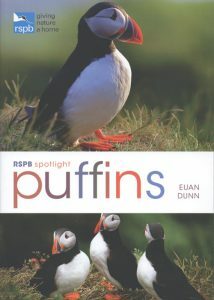 Euan also exposes the mounting threats Puffins face and offers advice on the best places to see them. Each Spotlight title is carefully designed to introduce readers to the lives and behaviour of our favourite birds and mammals. The Double-crested cormorant: plight of a feathered pariah. Artist/Author: Wires, Linda R. and Barry Kent Mackay. An endemic species of North America, the double-crested cormorant is an iridescent black waterbird superbly adapted to catch fish. The first Europeans settlers in North America quickly deemed the double-crested cormorant a competitor for fishing stock and undertook a relentless siege on the birds. 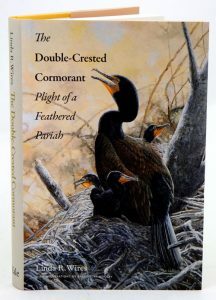 This book explores the roots of human-cormorant conflicts, dispels myths about the birds, and offers the first comprehensive assessment of the policies that have been developed to manage the Double-crested cormorant in the twenty-first century. Conservation biologist Linda Wires provides a unique synthesis of the cultural, historical, scientific and political elements of the cormorant’s story. She discusses the amazing late-twentieth-century population recovery, aided by protection policies and environment conservation, but also the subsequent U.S. federal policies under which hundreds of thousands of the birds have been killed. In a critique of the science, management and ethics underlying the double-crested cormorant’s treatment today, Wires exposes “management” as a euphemism for persecution and shows that the current strategies of aggressive predator control are outdated and unsupported by science. Artist/Author: Couzens, Dominic and Mark Sisson.